Pulse8, the only healthcare analytics company delivering complete visibility into the efficacy of Risk Adjustment and Quality Management programs, is proud to join the Pharmacy Quality Alliance (PQA), a multi-stakeholder, consensus-based membership organization that collaboratively promotes appropriate medication use and develops strategies for measuring and reporting performance information related to medications. PQA is recognized as a leader in the development of medication use and safety measures that are used by the Centers for Medicare and Medicaid (CMS) and Quality Bonus Payments (QBP) for Medicare Advantage programs. PQA’s measures hold a higher weighting than many of the other 5-Star measures making it imperative that plans effectively manage compliance. “PQA is excited to welcome Pulse8 as one of our newest members and as a licensee of the PQA measures. We look forward to Pulse8 contributing to our measure development process and engaging with our diverse offerings of meetings, programs, workshops, webinars, and other PQA-led initiatives. As an authorized licensee, Pulse8 gains access to the most recent, accurate, and proprietary measure details and specifications, which are utilized in payor programs such as the Medicare Star Ratings Program and the Quality Rating System” noted Laura Cranston, PQA’s Executive Director. Pulse8’s integrated suite of Risk, Quality, and Revenue Management tools enable plans to identify and close existing and potential care gaps for HEDIS®, Hybrid HEDIS®, and 5-Star Parts C and D measures that can significantly improve Quality Bonus Payments. By utilizing licensed measure specifications developed by PQA for CMS, Pulse8 can further support at-risk providers and health plans with improved compliance with CMS Part D Star Ratings as well as pharmacy measures included in the Quality Rating System (QRS) measure set for Qualified Health Plans (QHP) in the Health Insurance Marketplace. Pulse8 chose to become a member of PQA because of its commitment to Quality and for the opportunity to have input into the development of measures that impact patient health outcomes. Membership will allow Pulse8 to gather market intelligence through the participation in the development of medication-use measures in areas such as medication safety, medication adherence, and appropriate use of medications. Pulse8 will have the ability to participate in the Stakeholder Advisory Panels (SAPs) and the Measure Development Teams (MDTs). “Being an active member of PQA uniquely positions Pulse8’s team of clinicians and Subject Matter Experts to have direct involvement in measure development and vetting from the ground up. This level of participation allows us to not only help in providing gap identification for current pharmacy quality measures, but also provides us unique insight into the individual measures, allowing us the ability to recommend meaningful solutions to improve performance,” stated Chris Simmons, FNP, Vice President, Clinical Analytics. Pulse8 is the only Healthcare Analytics and Technology Company delivering complete visibility into the efficacy of your Risk Adjustment and Quality Management programs. We enable health plans and at-risk providers to achieve the greatest financial impact in the ACA Commercial, Medicare Advantage, and Medicaid markets. By combining advanced analytic methodologies with extensive health plan experience, Pulse8 has developed a suite of uniquely pragmatic solutions that are revolutionizing risk adjustment and quality. Pulse8’s flexible business intelligence tools offer real-time visibility into member and provider activities so our clients can apply the most cost-effective and appropriate interventions for closing gaps in documentation, coding, and quality. For more company information, please contact Scott Filiault at (732) 570-9095, visit us at http://www.Pulse8.com, or follow us on Twitter @Pulse8News. 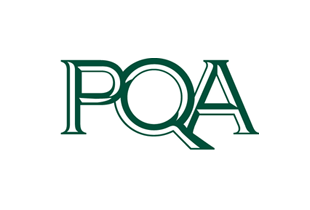 Established in 2006, PQA is a multi-stakeholder, consensus-based membership organization that collaboratively promotes appropriate medication use and develops strategies for measuring and reporting performance information related to medications. PQA represents pharmacy providers, pharmacy benefit managers, health plans, academia, consumer advocates, community pharmacies, health technology vendors, pharmaceutical research and manufacturing companies, and other stakeholders interested in improving the quality of the medication-use system. For more information about the Pharmacy Quality Alliance, please visit http://www.PQAalliance.org or contact us at (703) 690-1987.